What is the difference between a refinance and purchase mortgage? A purchase mortgage is the funding used to finance the original purchase of a home. Refinances, on the other hand, allow homeowners to make changes to their existing mortgage rates. The purchase mortgage is what allows someone to become a homeowner without having enough cash on hand. You cannot refinance without first having a mortgage. One major difference between the two types of mortgages is the overall cost. Purchase mortgages may have higher interest rates because there are more ancillary fees associated with them. It also might be the case that a first time home buyer doesn’t have strong credit built up yet. Both of these instances would increase the cost of a loan. This cost is also a primary reason why many homeowners refinance their mortgages. Your credit score has improved: If you are a homeowner who purchased a loan with subpar credit, and has since improved your financial situation, you may be eligible for significantly lower rates. Refinancing rates can vary by as much as 1.50 percent depending on your creditworthiness. To put a figure on this, 1.5 percent higher mortgage rates on a $300,000 mortgage will result in an additional $250 a month to your mortgage payment. Interest rates have gone down: If interest rates are lower today than they were when you obtained your original loan, you might refinance to take advantage of the lower rate. This is a particularly important factor for anyone who secured a loan pre-2008 when rates reached around 8 percent. According to the White House, the average homeowner could save $3,000 a year by refinancing their mortgage. You want a lower monthly payment: Switching to longer loan terms, or switching from a higher interest rate could help you lower your monthly payment. Use a mortgage calculator to determine what a lower payment does for you. Make sure to consider the total cost of the loan when calculating this figure. A lower monthly payment now, may not mean savings in the long run, but if you need a bit of flexibility immediately, refinancing could do the trick. Convert an adjustable rate mortgage (ARM) to a fixed rate: Often buyers are warned about the increases of interest ARM loans can incur. ARM loans do have caps which limits the amount interest rates can rise. These caps are set to monitor yearly increases as well as the total increase over the life of a loan. In other words, a loan won’t instantly rise from 5 percent to 10 percent. With that said, as your ARM increases, it might be wise to consider refinancing to a fixed interest rate. If you can secure a 20-year, or a 15-year refinance, you’ll avoid added a significant amount of time to your loan, while reaping the benefits of lower interest throughout the life of your loan. This has the potential to save you money over the life of your loan. Free up funds from a home equity loan: If you have an existing home equity loan and you need to fund a new project, a home equity loan might be the choice for you. Through these products, you can take advantage of lower interest rates or even change payoff terms to create flexibility through home equity refinancing. You can also use home equity to consolidate debt. There is no limit to when you can refinance a loan. In theory, you could apply to refinance the same day you close your purchase mortgage, although that likely wouldn’t make financial sense. Determining when you should refinance is typically about money. If you were to change your loan terms, how much money could you save? One rule of thumb is to refinance if your interest rate will drop by at least two percent. For example, if you currently have a $200,000 mortgage at 5 percent interest, your monthly payments would be around and $1073.64. If you secured a new loan at 3.75 percent you could save about $147.41, monthly, from a refinance. What’s your break-even point, or how long will it take for a reduction in your monthly payments to equal the costs of refinancing? Consider this. If you’ve spent $5,000 in closing costs, and save $200 in monthly payments, it will take you 25 months to reach your break-even point. ($5,000 in closing costs ? $200 in monthly payment savings = 25 months to break-even) If you plan to sell your home before this point is reached, you could be losing money on your refinance. Use a mortgage calculator. Everyone’s financial situation and goals for refinancing are different. The way to tell how much you’ll be able to save depends completely on your current loan versus the loan you’re looking to secure. Consider working with a mortgage broker. Mortgage brokers have a wealth of knowledge about refinancing. Not only can they help match you to a lender that fits your needs, they can let you know if you will get a better deal from a refinance than your original purchase mortgage. Refinances, by their very nature, allow you to plan around the rest of your life. 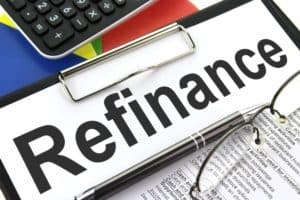 When you do a refinance, what you are essentially trying to accomplish is to change your mortgage or other home loan agreement to make your life easier; this is true regardless of what reason specifically you have to go after a refinance. A mortgage, on the other hand, is something that you would have to plan your life around. Have you ever noticed that when a person is planning out a mortgage, they are looking at things along the lines of how much money they need to save up each month and other similar things, whereas when they are planning out a refinance, it is the exact opposite? That is certainly a difference worth noting.